Getting fit and keeping fit can be hard when you don’t know if you are doing enough. Activity monitors or fitness trackers are one of the great ways to reach your fitness goals and maintain health. These wearables can count steps, and estimate calories burned or distance covered, depending on your gender, age or height. 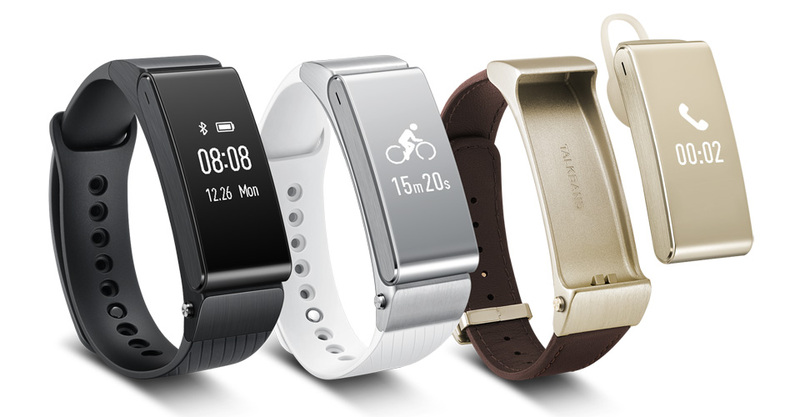 We look at which activity trackers should be on your wrist this year. 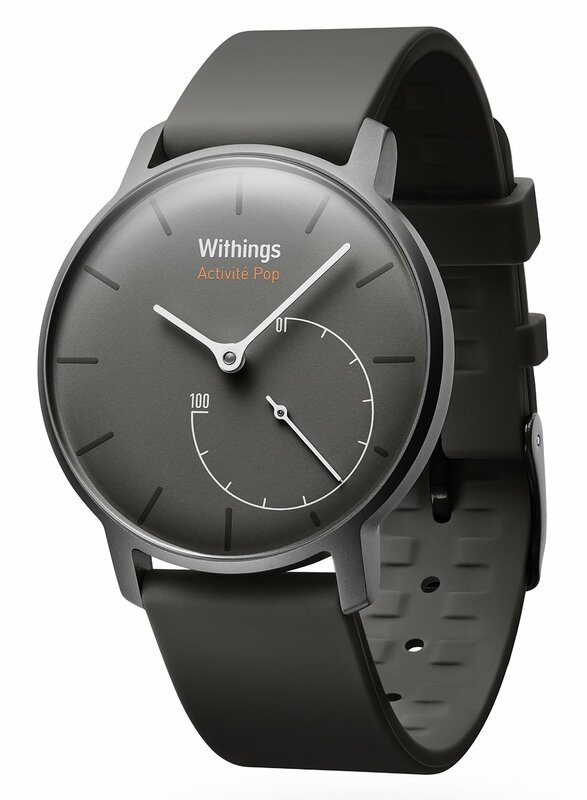 The Withings Activité Pop is a radiant watch combining time and activity tracking. Activité Pop detects your activity level 24/7 whether you are walking, running, or sleeping, all while keeping you in the know with a clear analog feedback. Activité Pop automatically syncs with your smartphone and offers up to eight months autonomy. 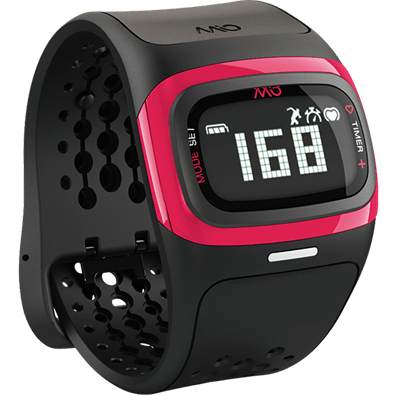 With all of the features of the original Mio Alpha plus more, the Alpha 2 monitors your heart rate as well as distance, calories and pace. Stylish, comfortable and easy to use, the Alpha 2 is an EKG-accurate heart rate monitor that does not require a chest strap. Other features include a customisable display, accurate calorie burn estimates, Bluetooth Smart (4.0) connectivity, rechargeable battery and a USB charging dock. 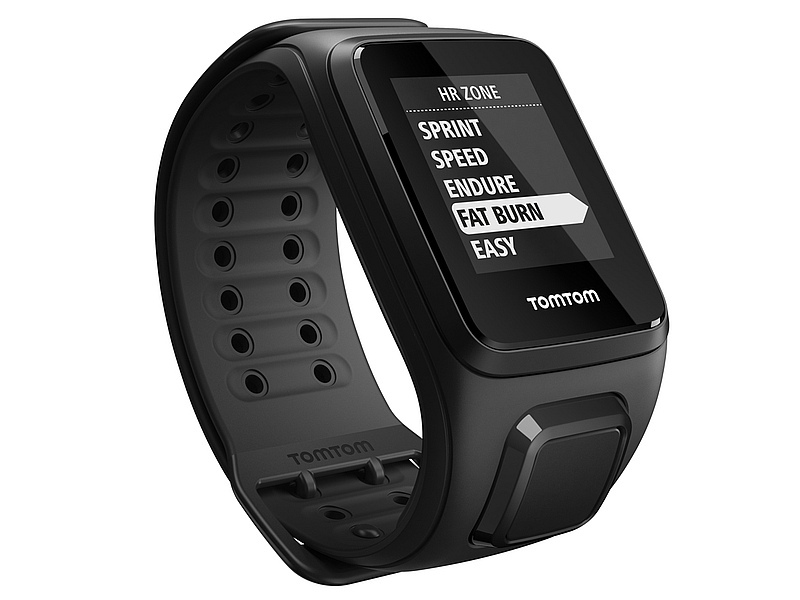 The TomTom Spark allows you to perform a wide range of fitness activities and track your every move. Real-time information such as time, distance, speed, pace and calories burnt can be accessed directly on the watch, while more detailed information is available at a glance on the MySports website and Android and iOS apps. You can upload activities to TomTom MySports to see important information such as your exercise history, full heart rate information and to manage the music installed on the device. The upload can be done either via connecting to a computer with MySports Connect installed or by pairing the TomTom Spark to an iOs or Android phone with the TomTom MySports app installed. The Hi-Tec TREK range of wearable activity devices has been designed for those who love the great outdoors and help you track your health and wellbeing. The touch screen allows you to track steps taken, distance travelled, calories burned and the length and quality of your sleep. Wirelessly sync data and set goals with the free HI-TEC TREK app (available on iOS 7.1 and newer and Android 4.3 and newer) and connect to the in-app community allowing you to link up with family and friends in order to motivate one another. The LeapBand activity tracker gets kids moving and having fun with 50 different activities and challenges, tracking a child’s physical movements so the more active a child is, the more points they earn with their virtual pet. As the child earns points through active play, they can unlock additional games, challenges, levels of play and virtual rewards for their on-screen pet. 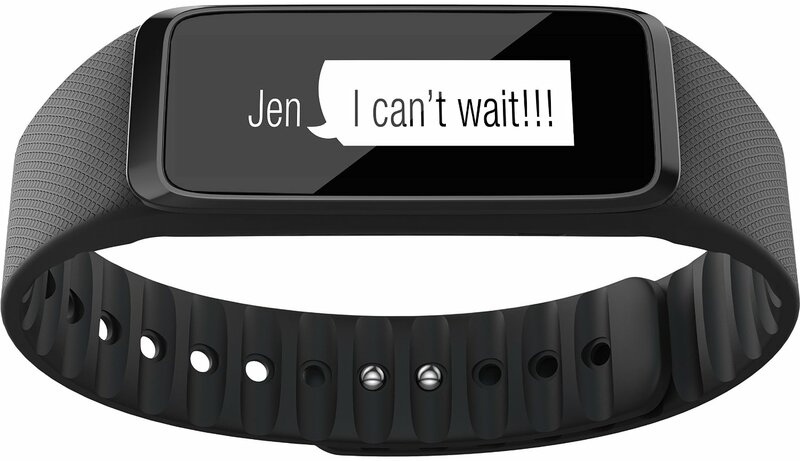 LeapBand has an aspirational fit-band style designed with kids in mind. High-tech features include a built-in accelerometer, high-resolution colour screen, rechargeable battery and water-resistant design, making it the ultimate activity wearable for kids. The device also doubles up as both a digital and analogue watch. The sleek Charge HR activity tracker from Fitbit is worn like a watch on your wrist and monitors your heart rate and sleeping patterns as well as accurately tracks calorie burn, steps, weight loss goals and much more. Wirelessly syncing all your stats to your smartphone so you can view your progress, the brilliantFitbit helps motivate and inspire you to lead a healthier, more active life every day. Want a gadget that bridges the gap between fashion, fitness and technology? Powered by Android Wear, Huawei Watch is the first watch to offer fitness capabilities and instant message notifications. It boasts the ability to track the user’s activities anytime, anywhere, it can even distinguish between different physical activities, such as walking, running and climbing. It measures heart rates via its heart rate monitor sensor (PPG sensor). It also features offline music download support and Bluetooth connectivity for wireless headphone usage. The second generation of Huawei’s TalkBand products, Huawei TalkBand B2 showcases a sleeker more professional design with smarter fitness tracking functionality and higher accuracy making it the must-have fitness tracker this year. With a more superior Bluetooth connectivity to make synchronising to your smartphone even easier, the Huawei TalkBand B2 is not only a precise health tracker but also the perfect combination of Bluetooth headset and sports bracelet, ideal for those that live life on the go. Equipped with an advanced 6-axis sensor, the TalkBand B2 is able to automatically recognise and record motions accurately, identifying whether the wearer is running, cycling or walking and adapting results accordingly. As well as intelligently tracking movement the Huawei B2 is capable of detecting the duration of deep sleep and light sleep providing you with health tips on ways to improve your sleep pattern and improve your health. If you are on a budget, you may well want to consider the Crane Activity Tracker available from Aldi. It sports an OLED display to show you your progress. The battery lasts about a week, so no having to recharge it every night. And that’s the point; if you are tracking sleep patterns, then you need to keep the thing on your wrist. 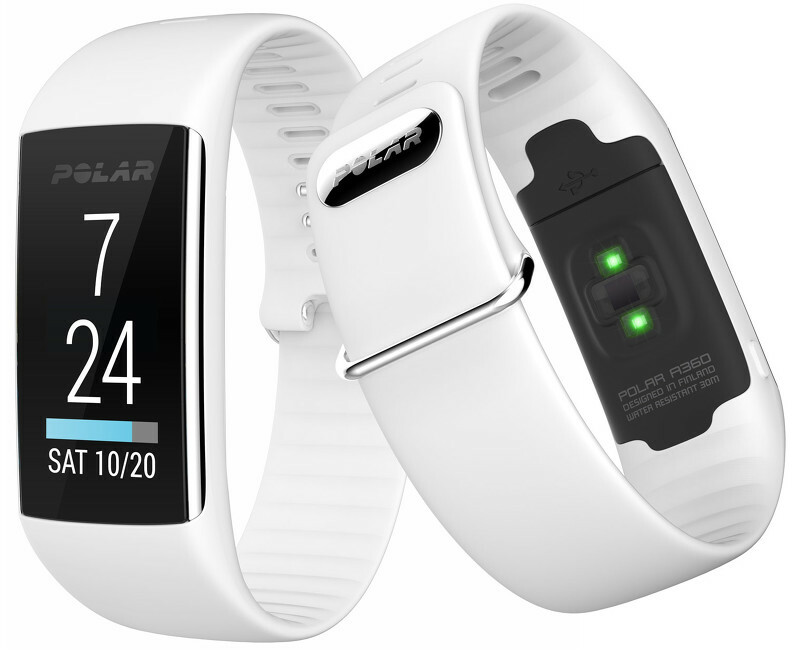 A new addition to the Polar family, the A360 takes activity tracking to the next level. It is the first of Polar’s products to have both a wrist-based heart rate monitor and personalised training guidance, as well as 24/7 activity tracking. For people constantly on the move, the A360 has smartwatch features like smart notifications all displayed on a colour touchscreen. Syncing with the Polar Flow app the water-resistant A360 can provide in-depth analysis into your fitness and training activity. Users can match their personal style with interchangeable and vibrantly coloured, soft silicone wristbands. Available in black and white with pink, blue and green to launch in the New Year. Zing is a new must have item; it is a sleek looking multi usage watch covering fitness activities, games, and friendship group interaction. It can be worn as a watch, a pendant, or kept snuggly in your pocket, and monitors your mood as well as movement using a range of built-in sensors to offer you an insight into your daily life. With a starting price of £54.99 and amazing special offer multi-packs for families and couples, Zing is something for everyone to enjoy.